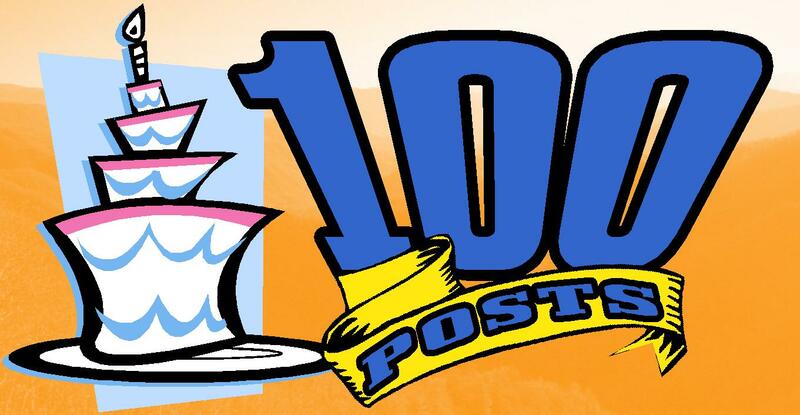 This marks the 100th posting on the William Hope Hodgson Blog! Back when I started this blog, several people questioned if there would be enough material to keep it going. It wasn’t an entirely unjustified question. After all, Hodgson doesn’t have as much devoted to him as, say, Lovecraft does. But I felt that, whatever material I did have was important enough to present. Hodgson is kind of the underdog in weird literature. Doesn’t get a lot of press. Guillermo del Toro isn’t lining up to direct a move based on THE NIGHT LAND. There isn’t a convention devoted to Hodgson taking place in Blackburn. There aren’t even any comic books doing “Hodgsonian” tales. When I was a small press publisher back in the 1990s, I had a table at a local convention/show where I was selling my Hodgson reprints as well as a couple of Machen books and others. The convention’s GOH was Neil Gaiman who was kind enough to stop by the table and talk a bit. We chatted about Machen for a few minutes and gave him complimentary copies of my Machen books but, when I tried to interest him in the Hodgson, he wasn’t biting. He just wasn’t all that keen on WHH…even when I was trying to give him FREE copies. I’ve gotten that reaction a lot. Through the years, that has always been one of the driving forces behind my efforts. I want Hodgson to get more respect both from the readers and the literary circles. WHH will never reach the stature of a Poe or Lovecraft (nor would even I say he deserves to be elevated so far) but there is much in WHH to enjoy and study. 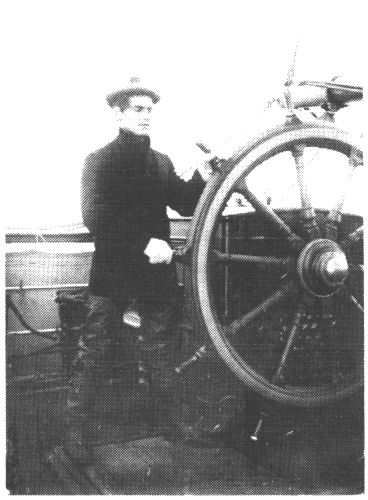 This staged photo of WHH at a ship’s wheel was used in his lectures about life at sea. That was one of the reasons why I started this blog because there was no place on the internet to get a lot of this information. You might get a bit here and there but it wasn’t centralized. I wanted there to be a place where everyone could come to get old and new material and find out what’s going on in the world of Hodgson. I hope that I have succeeded in that endeavor. As we enter 2013, there are already new things in store for Hodgson and his fans. Some new books are scheduled to come out and WHH is finally getting some of that critical attention that has been denied him for so long. Hopefully, this year will see the publication of a new collection of Hodgson criticism and studies edited by Massimo Berruti and published by Hippocampus Press called VOICES FROM THE BORDERLAND. It is an anthology of some old pieces and a lot of new ones as well. I am happy to say that I will be represented in this volume by several articles and am honored to be included. One of the most important items in VOICES FROM THE BORDERLAND will hopefully be the long-awaited Hodgson Bibliography which S. T. Joshi, Mike Ashley and I have been working on for well over 10 years now. It is already over 100 pages long and covers international appearances as well as English. It has been an invaluable resource in my own work and I look forward to sharing it with others. A early photo of WHH. I am not sure of the year but probably roughly around 1903 or so. Already this year we have seen a new paperback of Hodgson stories from Night Shade Books called THE GHOST PIRATES AND OTHERS edited by Jeremy Lassen. This has marked the first appearance by WHH in an inexpensive, mass produced paperback in several years. Hodgson also was mentioned in S.T. Joshi’s two volume history of weird literature; UNUTTERABLE HORROR. Later this year, Centipede Press will be releasing a collection of Hodgson stories compiled by S. T. Joshi. I do not know the full contents of this book yet but I do know that it will contain the text of the original edition of THE HOUSE ON THE BORDERLAND. Unfortunately, given the tendency of Centipede Press to produce expensive items, I fear it will not be cheap but I am sure that it will be a very attractively pro duced book. In addition, 2013 will see the first issue of SARGASSO: The Journal of William Hope Hodgson Studies. This will be a yearly publication highlighting new articles about Hodgson as well as Hodgson inspired art and stories. I’ve already gotten a number of submissions and am expecting new articles by some of the biggest names in Hodgson criticism. Another project which I’m putting together is a special, 100th anniversary edition of CARNACKI. This will be a deluxe edition, reprinting the original texts along with annotations. With luck, I hope to have it available by November. Going along with that, I would like to announce a collection of all-new Carnacki tales! I’m opening this up to submissions today, with this post, in the hopes that everyone will spread the word! I am looking for new tales of Carnacki in the Hodgson tradition so I encourage all of our writers out there to submit a story. Details are still being negotiated so keep watching the blog for more announcements. Already I am looking forward to the future. Within the last 20 years, Hodgson has made great strides in critical and reader popularity. Virtually all of his major fiction is now available either through e-books, print-on-demand or free online sites. The next steps are to increase availability of his poetry and non-fiction so that, for new readers, everything is available. This is a major difference from just a few years ago when it was difficult to easily find even Hodgson’s novels. Today, we can state that Hodgson is better known and read than ever before. And there is still so much more to learn! Genealogy research has barely been touched and there is a great need for more study about Hodgson’s own life, opinions and beliefs. Plus Hodgson has suffered from one major disadvantage: there has yet to be a full, book-length critical study of his works. I hope to change this in the future. It’s been a great 100 posts and I hope everyone will still around for the next 100!! An Index to the Blog! I love indexes! They’re just such wonderfully marvelous things! One of the very first things I usually do when I get a new book is to flip to the back and check out the index and bibliography. If I like them, I know I’ll like the book! Given that this blog has now had 65 posts (believe it or not! ), there are probably a lot of people who are just now discovering it and want to read more but who wants to wade through 65 posts looking for something? Well, fear not, true believer! (I grew up on Stan Lee comics obviously.) What follows is a clickable index of all of the posts so that you can jump to any of them from here. I’ve also organized them by subjects so you can easily find more of what you’re interested in. We’re coming up on the two month mark since I began this blog! I’m thrilled at all the great response it’s received but also the amount of new information and items we’ve been able to bring to a wider public. Because many might only now be discovering this blog, I present the following index to the previous posts for your convenience. It will keep people from having to search through all of the entries. H.C. Koenig had extensive correspondence with Frederic Dannay [1905-1982], who, with his cousin Manfred Lee, wrote under the pen name “Ellery Queen.” Dannay wrote that he was going to publish Hodgson’s Carnacki story, “The House Among the Laurels” in ELLERY QUEEN’S MYSTERY MAGAZINE, but it never happened. However, a Captain Gault story by WHH, “The Red Herring,” was included in an Ellery Queen hardcover, ROGUE’S GALLERY: THE GREAT CRIMINALS OF MODERN FICTION (Boston: Little, Brown and Co., 1945). 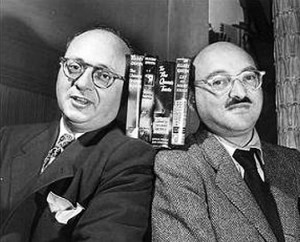 Ellery Queen, as Gene notes, was really two people. 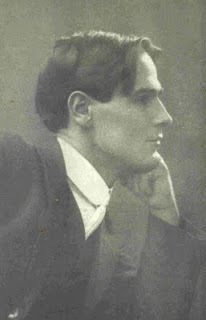 Dannay and Lee wrote an astounding number of detective novels starting with THE ROMAN HAT MYSTERY (1929) which had the unique quality of being a mystery written by one of the main characters. What followed would be a series of many novels starring the character Ellery Queen and even more novels ‘written’ by Ellery Queen. This essay was, as noted in the footnote which was also included in the original publication, was apparently meant to accompany the reprinting of a Carnacki story in ELLERY QUEEN’S MYSTERY MAGAZINE. I wonder if this essay was ever printed anywhere else considering the Carnacki story was never used in EQMM? Too few people in America are familiar with the work of William Hope Hodgson; and even this fortunate minority, who know Mr. Hodgson as a writer of weird and supernatural stories, have to be reminded that he also wrote two books in the detective-crime field. One is “Captain Gault”—ten short stories about a modern smuggler. 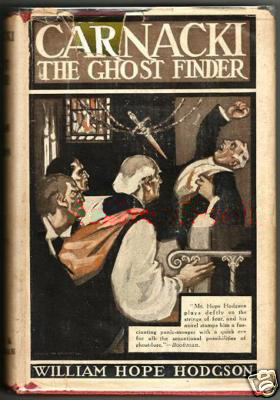 The other is “Carnacki the Ghost Finder”—six short stories about a ghost-breaker; a unique detective who investigates haunted houses and similar phenomena. 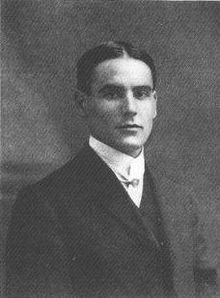 Readers, writers, and students of supernatural fiction deplore the fact that at the end of five of the Carnacki stories, Carnacki produces a tangible, real-life explanation for the ghostly manifestations. 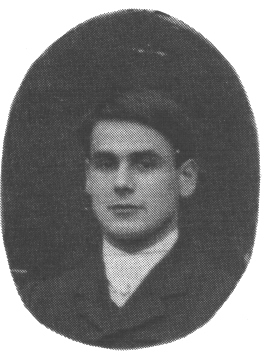 For example, H. P. Lovecraft, one of the great modern masters of weird fiction, once expressed the opinion that the Carnacki stories were “weakened” by the realistic solutions. Well, one man’s meat is truly another man’s poison. To your Editor the sane, of-this-world explanations strengthen rather than weaken the stories. These natural elucidations, frowned on by devotees of the weird, must be applauded by devotees of the detective story; they transform Carnacki from a mere dabbler into the unknown to a legitimate and authentic detective. But let’s not quarrel over Carnacki. He’s a 24-carat “find” both for lovers of the “invisible” and addicts of the “visible”. Let’s rejoice that EQMM can bring you one of Carnacki’s strange and fascinating adventures which, to the best of your Editor’s knowledge, is here printed for the first time in the United States. *In the near future, “The House Among the Laurels”, a short story taken from “Carnacki, The Ghost-Finder” will be published in Ellery Queen’s Mystery Magazine. The above article will appear as a preface to this story. 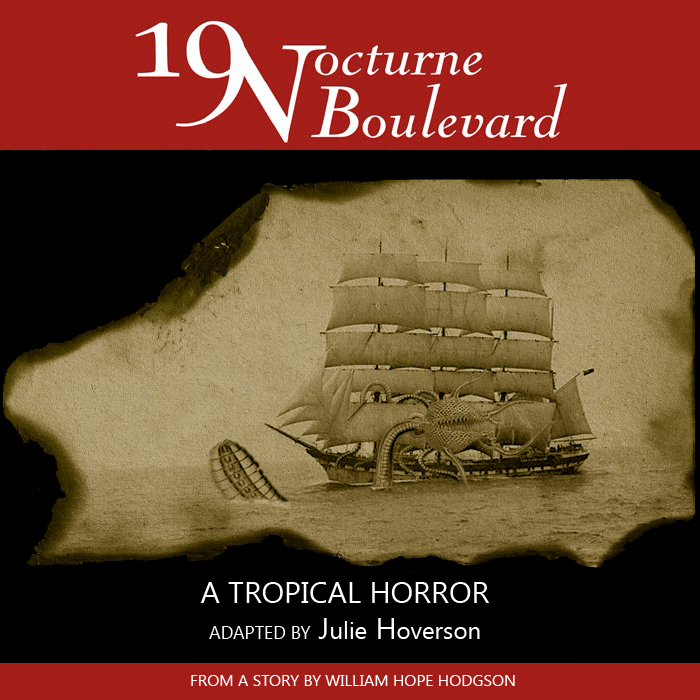 Adapted by Julie Hoverson for 19 Nocturne Boulevard, this adaptation of one of WHH’s most exciting sea horror stories is dramatized in this excellent audio version. Reminiscent of the great radio dramas of old, this is an nerve-wracking story that really works on the listener’s imagination. Highly recommended! And don’t forget to check out the main website which has links to many other radio dramas including some adaptations of Lovecraft stories! 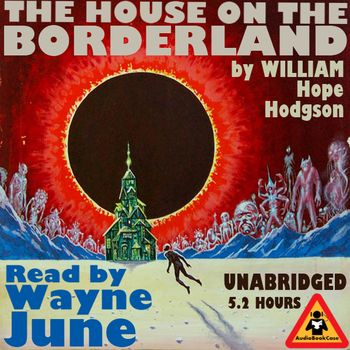 Wayne June provides a narrated edition of Hodgson’s classic novel. You can listen to the entire book online or, if you prefer, you can download it for a small fee. The description on the website says; “This classic novel is heralded as the turning point between gothic supernatural fiction of the late 19th century and modern horror fiction. Probably the greatest of all Carnacki stories is available online via YouTube. Superbly read by Julia Morgan, this version retains all of the spookiness of the original story. Make sure to check out Morgan’s YouTube channel for more excellant readings of classic horror. She has recently begun a series of readings of Lovecraft’s seminal essay, “Supernatural Horror in Literature”. Hopefully she will do some more Carnacki soon! Perhaps “The Hog”?? Or search for Morgan’s channel at YouTube under “MorganScorpion”. Read by Paula Wright and also available on YouTube, this audio reading of WHH’s most famous story suffers from a weak audio track. The reading itself seems incompatible with the story but it is well worth a listen. If you know of other audio versions of Hodgson’s work (either straight readings or dramatizations), please feel free to note them in the comments sections!